We will create your personalized invitation in a high-resolution PDF in a 5x7 which will then be emailed to you. You can then email or print as many copies as you need. Our current turnaround time is 24-48 business HOURS. 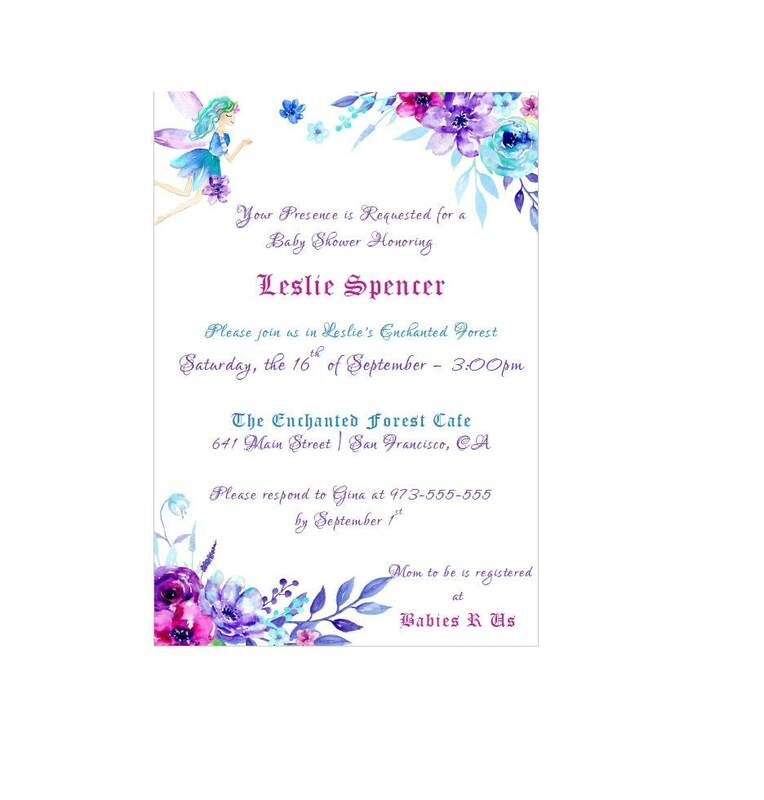 Once I have received all your information, I will customize your invitation and will email the finished JPEG to the email you use to log in to Etsy. If you are satisfied with the design, you are ready to print. Otherwise, you can receive one addition revisions at no additional charge. A $15 fee applies to any further revisions, or if you would like a size change AFTER I have emailed you the finished PDF.